March 13, 2009: Clark County nominates the famed “Welcome to Fabulous Las Vegas” sign for the National Register of Historic Places. 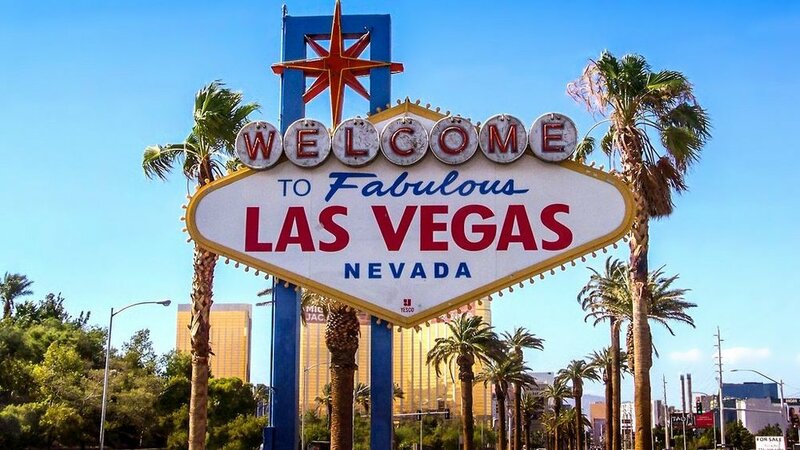 The sign, designed by Betty Willis and erected in 1959 at the southern tip of the Strip, wins the honor two months later. March 15, 2012: Former Republican presidential candidate Herman Cain, who campaigned on a much-mocked 9-9-9 tax plan, hits a $10 buy-in poker table at the Wynn Encore and delights players by yelling, “I need a 9, give me a 9-9-9!” Then he gets three nines and wins a hand. March 16,1911: Six years after its founding, Las Vegas is incorporated as a city by the Nevada Legislature, pending a vote by the residents. Voters approve the step the following June by a 168-57 tally. 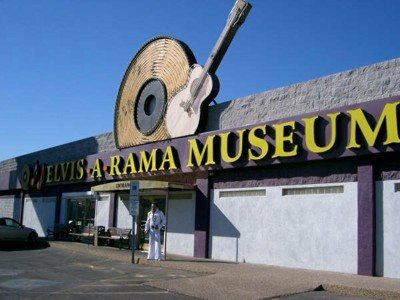 March 17, 2004: A thief breaks into the Elvis-A-Rama Museum in Las Vegas, stealing $300,000 worth of memorabilia, including jewelry and a .38 caliber handgun. The booty is recovered the following year and the thief is arrested, but the museum closes in 2006. March 18, 1991: Mike Tyson defeats Razor Ruddock in a controversial TKO at the Mirage when the referee stops the fight in the seventh round. Ruddock seems able to continue and the decision sparks a melee in the ring. The ref is saved by bodyguards and Tyson wins a rematch three months later. March 19, 1932: The Apache Hotel, which features the first elevator in Las Vegas, opens with the biggest party the town has ever seen. The 56-room hotel, which includes a nightclub and casino, becomes the swankiest place in town. March 20, 1965: Performing at the Sands, Jerry Lewis takes his usual backflip off a piano but lands badly, chipping his spine and triggering decades of debilitating back pain and addiction to painkillers. An electronic nerve stimulator implant eventually solves the problem. March 21, 2003: A 25-year-old software engineer from Los Angeles puts $100 in a Megabucks slot machine at the Excalibur Hotel and wins $39.7 million – the all-time record for a slot machine payout.